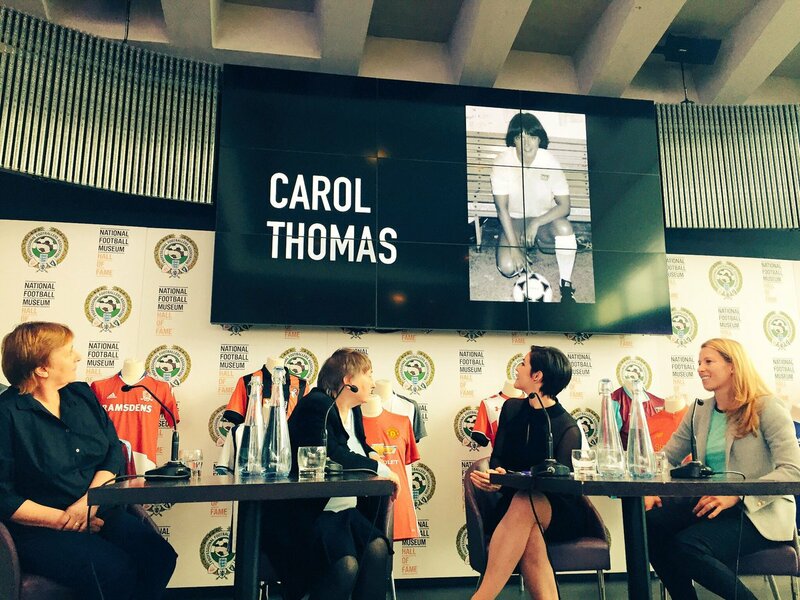 Following on from the HCST article about one of Hull’s greatest ever footballing internationals and valued HCST member, see here, the Trust can now report that the National Football Museum has finally recognised Carol Thomas as one of the true pioneers and legends of the womens game. Her links with Hull City AFC run long a deep, with a couple of appearances for England at the old Boothferry Park, training at Boothferry Park with Hull City Minors under Pete Sissons for 5+ years in the early 80’s and being managed at England level by Martin Reagan (former Hull City winger). A visit to the NFM will reveal a number of Hull City related objects, including a headline from a Sheffield Newspaper in which the ‘Owls maul the Tigers’, photos of a beach hut like structure purporting to be a Hull City AFC ticket office from Boothferry Park in the 80’s and the sale of the north end of Boothferry Park to clear debts and allow the erection of a local supermarket! However, despite the great and the good that have donned the black and amber of Hull City, including England representatives like Raich Carter, Stuart Pearson and more recently Nick Barmby and Harry Maguire, not one player makes it into a display or the Hall of Fame. However, following a day of chatting and discussions with the Collections Staff at the museum, the NFM have produced a blog under their #HiddenHistory project. The blog (found here) announces a ‘loan signing’ – read on – and gives a short resume of Carols career and thoughts about the 1984 European Final. During the chat, Carol also agreed to loan her medal from that epic double headed final against Sweden, which England lost on penalties in the second leg at Kenilworth Road, Luton, to the Museum for a new display which will feature men and women internationals side by side. 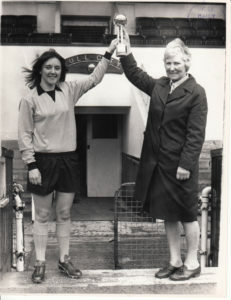 Carol became England captain in 1976 and served her country for more than 11 years along the way becoming the first ever woman to gain an FA Coaching qualification, first to reach 50 caps and first to captain England for 50 times and her list of firsts stretches much beyond these. In March, Carol unveiled a Lord Mayors Centenary Plaque in commemoration of Flo Bilton, another of Hulls great pioneers of the womens game making appearances on both Radio Humberside and BBC Look North. Carol also recently gave an inspiring question and answer session to the year 5 pupils at Clifton Primary School. Surprisingly, HCST note that despite a glittering career, battling prejudices and barriers to the women’s game in the 1960’s, 70’s and 80’s, and a return to true grassroots to inspire a new generation of footballers, this is the first time the footballing establishment has acknowledged her commitment to and achievements in the womens game. The Trust has long advocated her induction into the Hall of Fame and will keep members up to date with Carols continued involvement in football.